Sometimes it's useful to take a step back from your communications and see it with fresh eyes. 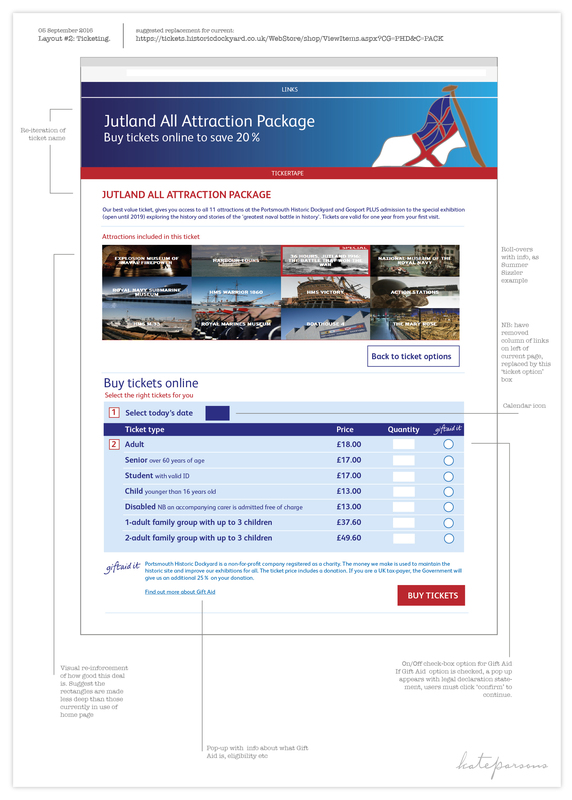 For these two projects – one to review and update software marketing materials, the other to improve the online customer journey to increase tiecket sales – Kate was commissioned to review, report and suggest improvements to existing materials. 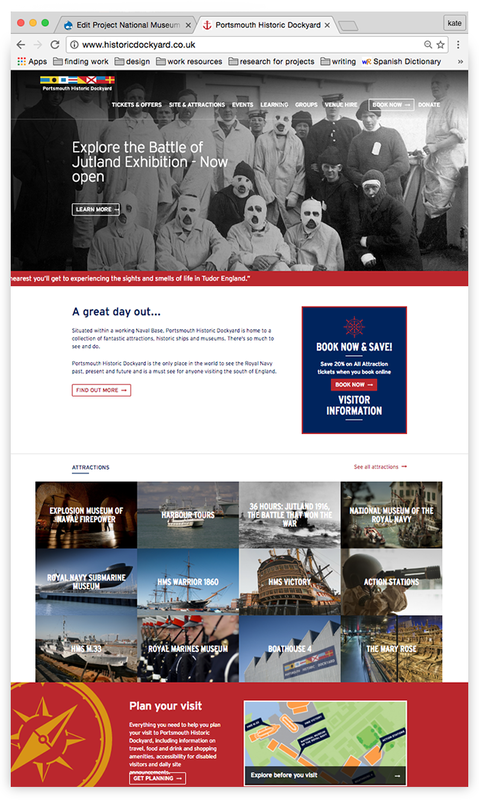 Asked to review the user experience (UX) on the Historic Dockyard's website, as online ticket sales were poor, Kate reviewed the whole site and made recommendations on how changes to text, content and layout could be amended to improve communication. 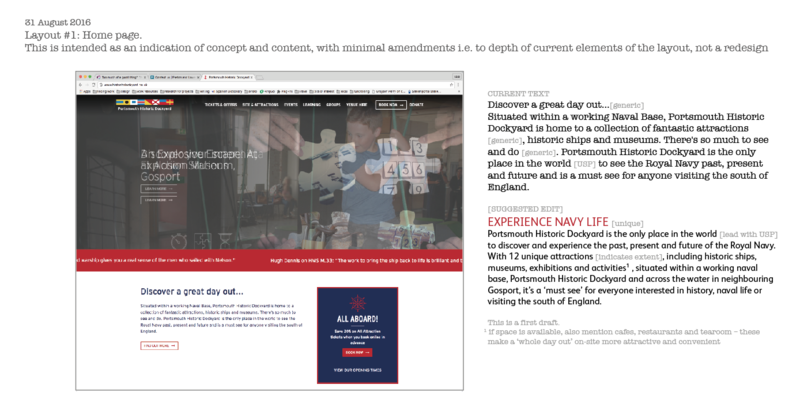 An initial report was submited which flagged every stumble experienced when using the site. 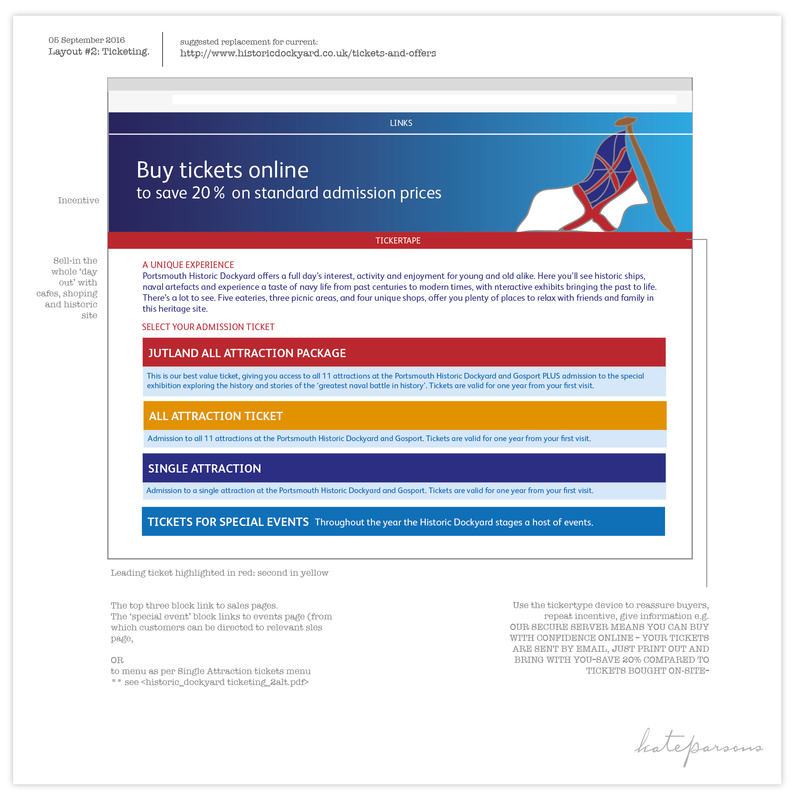 The tickets landing page was headed by an explanation of a glitch in the sales software – customers were greeted with a negative. The many ticket options were confusing and hard to compare. The remedies were both simpler text and a clearer, functional layout. Again, a report, with recommendations was submitted before layout. The sales software required a date, so changing the instructions (that were not on the landing page) asking for customers to input today's date was a cost-free work-around. 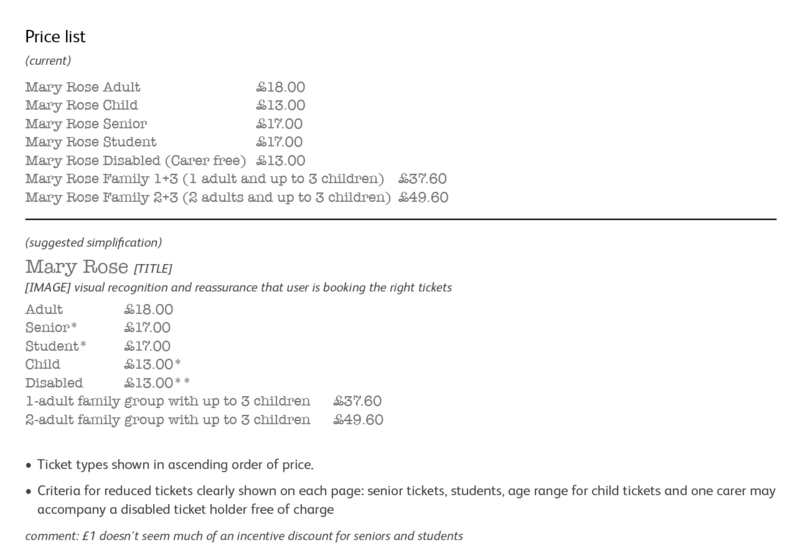 New layout for ticket sales header page with four clear options. 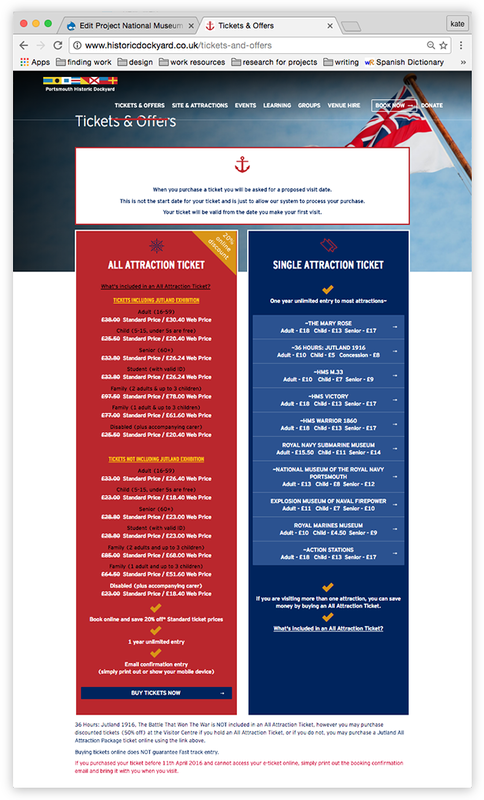 The Dockyard wanted to drive sales to their two 'all attraction' tickets (hence colour emphasis), with the option of buying tickets for single attractions to still be very visible. 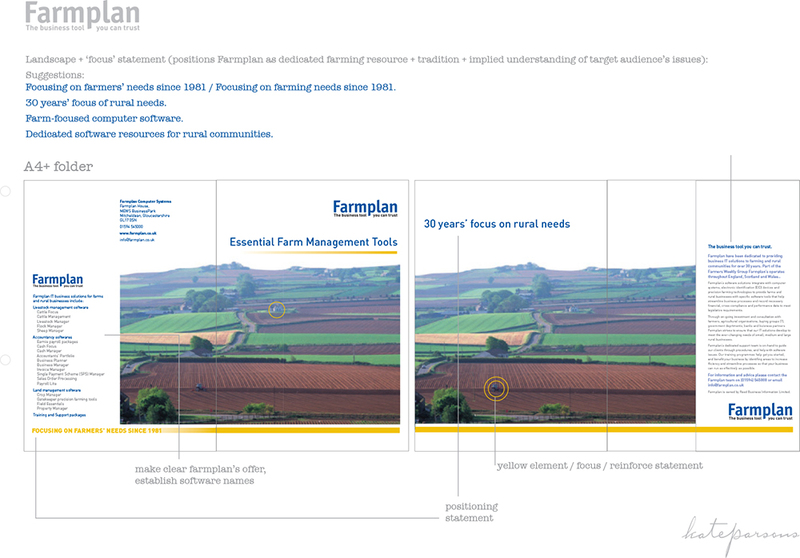 Having already designed new software CD packaging I was asked to audit the Farmplan brand and present concepts to update the heavily coloured current look. The white space, introduced with the packaging was to be kept along with the corporate yellow. 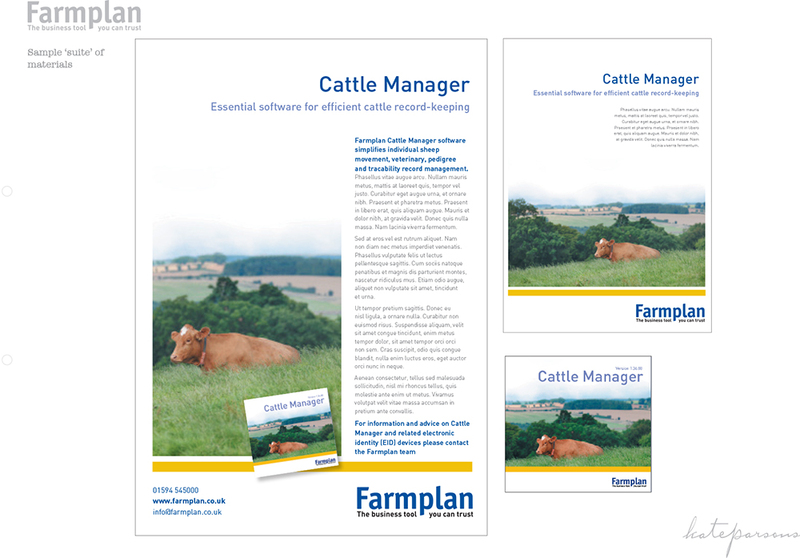 The full presentation concentrated on image type – non chocolate-boxy 'real' rural images on a budget – and clarifying the company's credentials and positioning within the farming community, showing layout and emphasis variations. I wanted the digital farming tools to be presented as clear, calm and business-like while relating to rural clients. 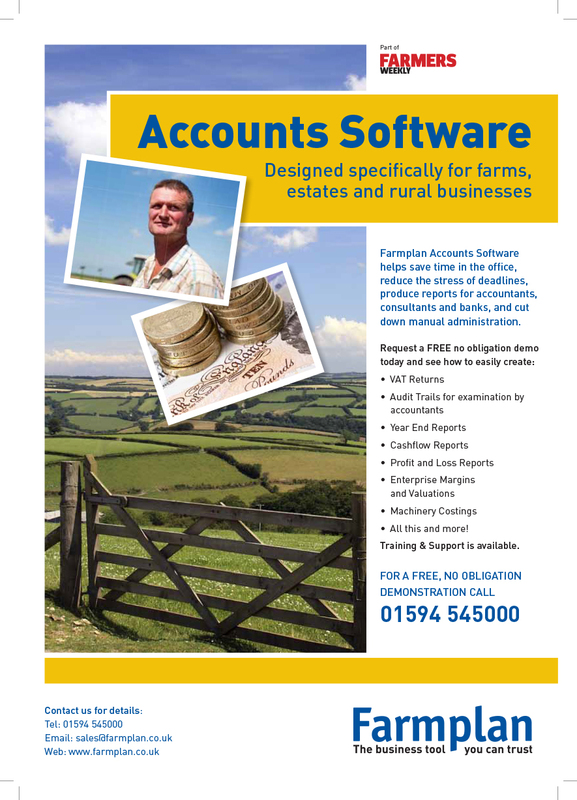 Farmplan is part of Reed Business Information who also own Farmers' Weekly magazine. Creative Communication: graphic design, art direction, strategy, copywriting and editing, illustration.